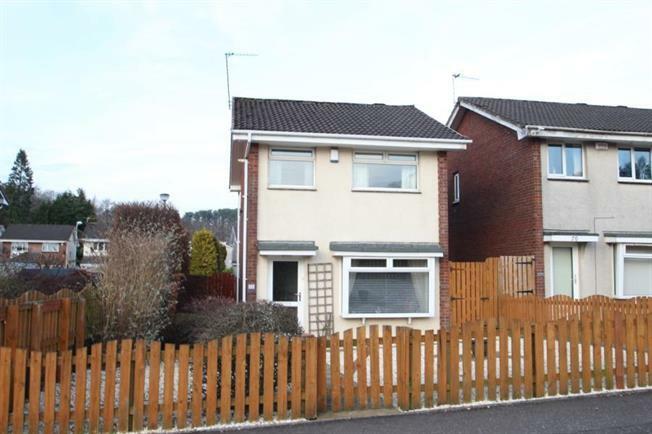 3 Bedroom Detached House For Sale in Kilmarnock for Offers Over £135,000. Spacious detached villa loacted within popular development offering superb family accomodatiion. The subject extends to a welcoming reception hallway, good size lounge, kitchen/dining room and good size conservatory. On the upper level there are 3 bedrooms and shower room. Further benefits from gas central heating, double glazing and generous garden grounds. The rear garden is level with greenhouse and paved patio areas. There is a driveway and brick built garage. Ideal location for excellent local amenities and transport links with a good choice of nearby schooling. Early viewimg advised.